It’s only over the last year or so that I’ve really gotten into candles. I have one burning most evenings and I just love how they fragrance my home. I have to say I don’t think I’d bother using a candle unless it was scented now. 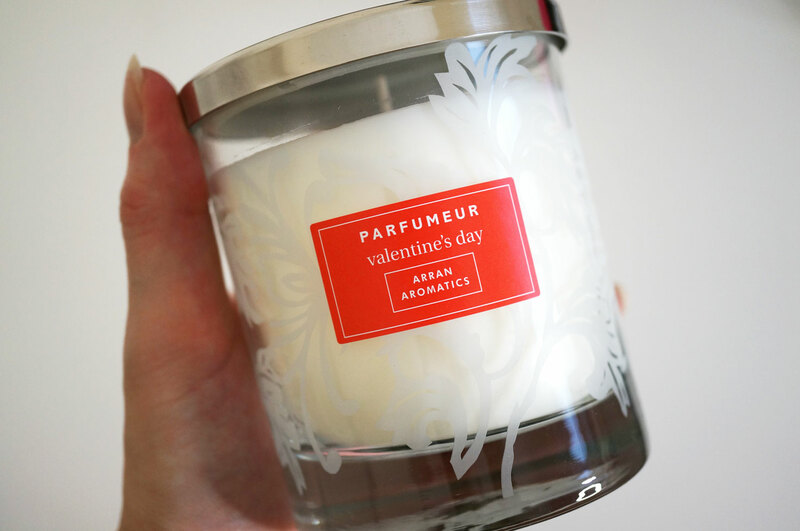 I’ve come across some really lovely fragrances and one that goes to the top of my list is definitely this Valentine’s limited edition Stargazer candle from Arran Aromatics. 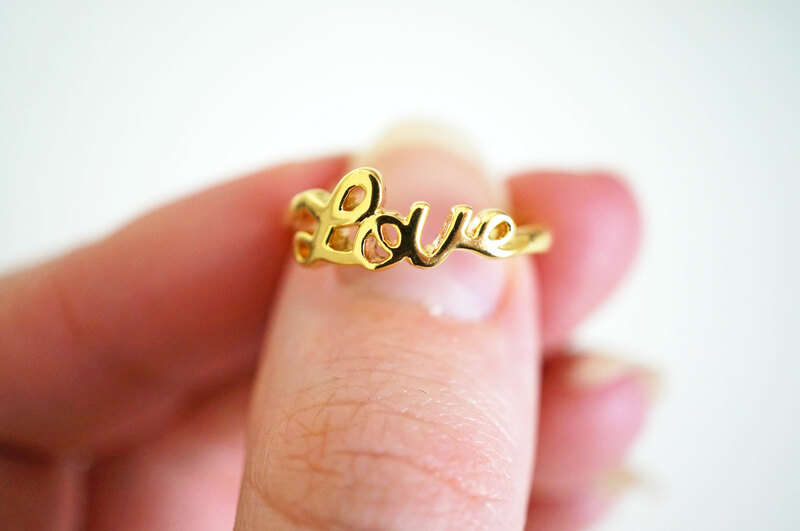 This super cute Love ring comes in gold, rose gold and silver plate, and it also has a small gap at the back to fit a variety of finger sizes. I should mention this ring is on the small size without being opened up or pushed closed, it fits my ring finger which is a UK I / J. This is such a pretty ring and would make a lovely token gift. I really love gifts that are different, fun and unusual. Yes I’d quite like a nice bunch of flowers and maybe some chocs for V day, but a ceramic bunny cotton wool dispenser where the cotton wool balls make up the bunny’s tail? Yes please! It’s not something you’d automatically think of but it’s definitely bound to raise a smile – this will be living on my desk from now on! NYX are a fairly new brand to me, I love their Matte lipsticks and I’ve also started using their Butter glosses, which I’ll be posting about soon. 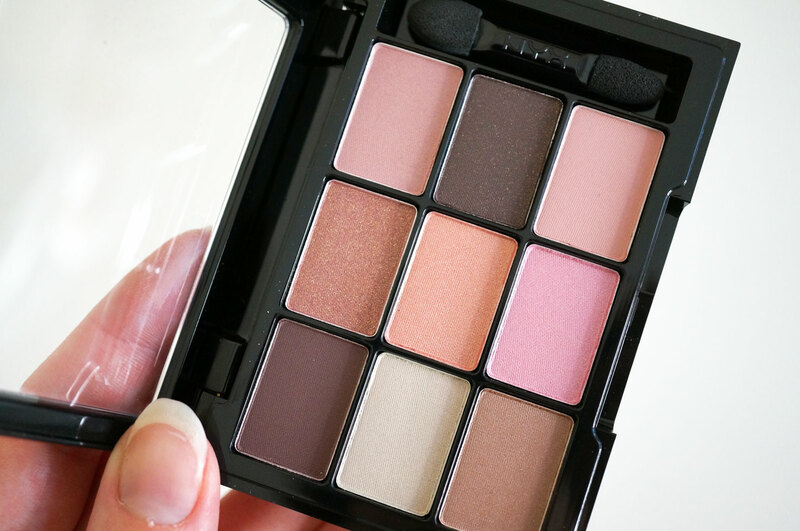 This super cute Love in Paris palette contains nine flattering, easy to wear shades, and it’s also the perfect compact size to fit in your makeup bag. Deborah Lipmann Nail Polish in Chantilly Lace – £16 from Harrods. If you’re looking for a slightly more subtle gift for Valentine’s, this beautiful polish from Deborah Lipmann’s Whisper collection should do the trick. Chantilly Lace is just the prettiest shade of barely there baby pink, with an iridescent pink shimmer that looks beautiful when it catches the light. Ok I’l admit it, I’m not a James Bond fan, he just doesn’t do it for me. Perfume on the other hand though, yes please! 007 for Women is a brand new fragrance that supposedly captures the heady power of the Bond Woman. I’m not sure about that but I can tell you I LOVE this perfume. It’s fruity, but also floral, with black vanilla, white musk and cedarwood, and it’s just me to a T. If you like more intense, seductive evening scents, this will definitely be for you too. I’m a massive fan of rose gold jewellery, and this beautiful horseshoe necklace would go down a treat as the perfect gift for Valentines day. 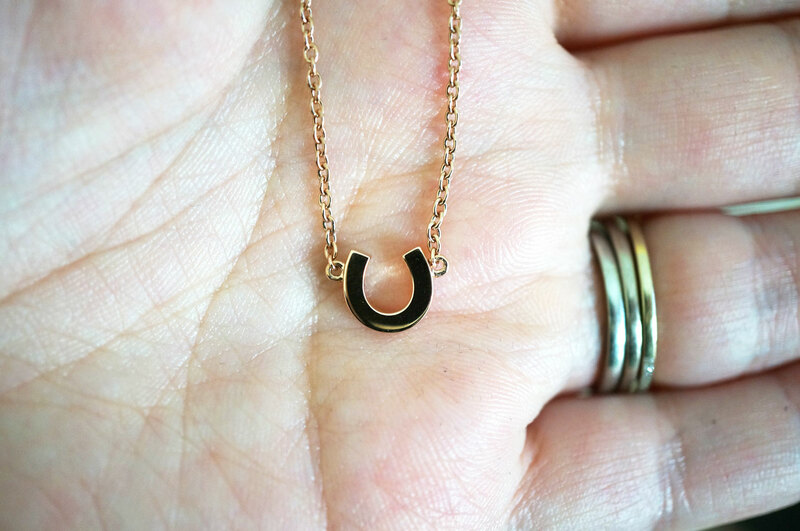 A dainty horseshoe, a symbol of good luck, hangs from a pretty fine rose gold chain – and this would also look gorgeous layered with other necklaces. Ted Baker gifts are EVERYTHING and these nails really are faked to perfection. With a modern, easy to wear short nail length and slightly squared off tip, these falsies are just perfect for prettying up your digits this Valentine’s day. 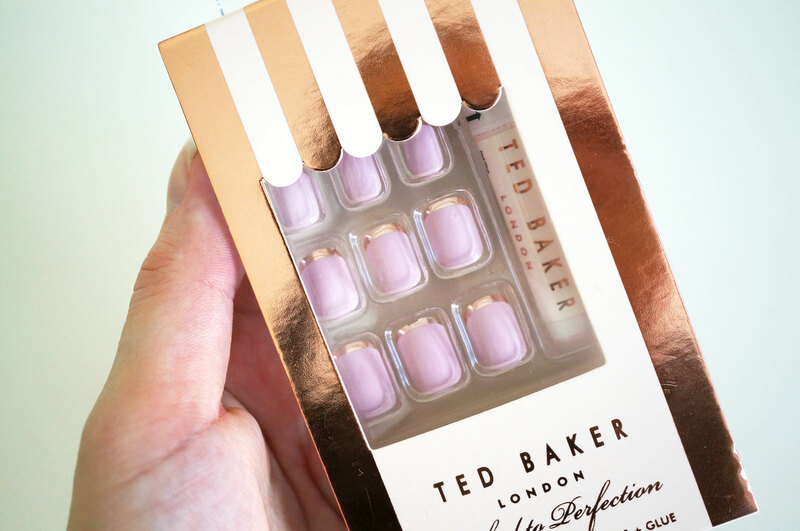 The baby pink nail colour with metallic rose gold tips are so Ted Baker – just team them with a TB bag and prepare to dazzle! New Nails & Arm Candy! Next Post It’s My Blog’s 2nd Birthday! 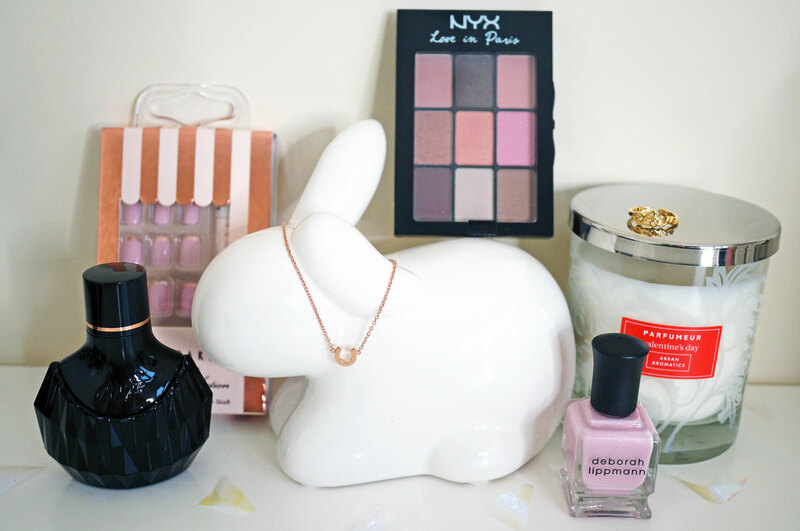 Plus a £350 Giveaway! I love the cotton wool bunny dispenser idea! I’ve been looking for something to store my cotton buds in, I was going to buy just a boring clear jar. Thanks for sharing! 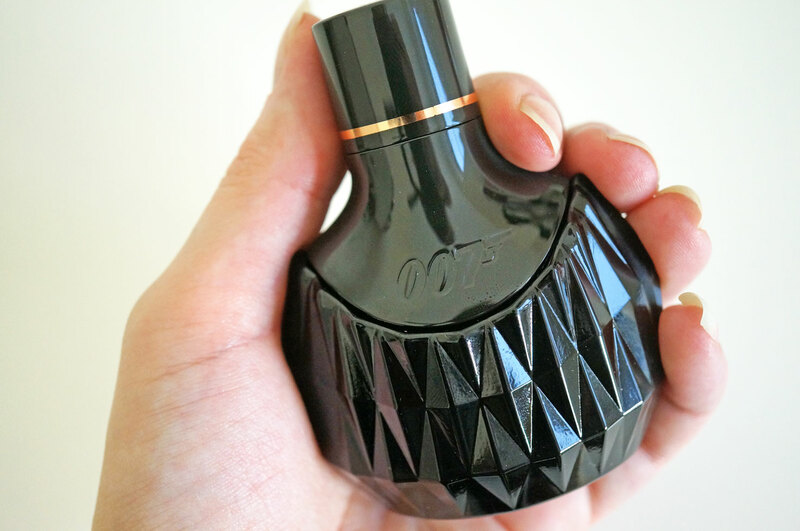 Oooh, I’ve never seen or heard of James Bond fragrances – interesting bottle! 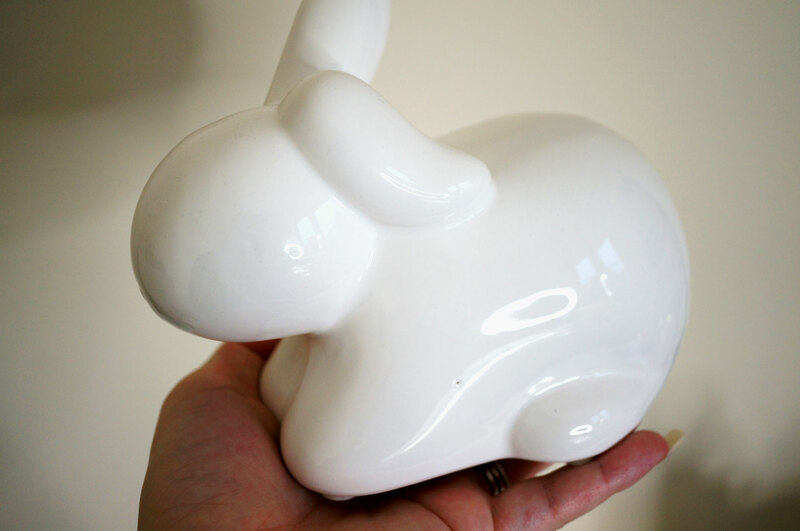 Love the bunny – what a great design!